Big East Conference play began for the #13 Butler Bulldogs Thursday as they traveled to Queens, NY to take on the St. John’s Red Storm in the conference opener for both teams. Non-conference was very kind to the Butler team as they defeated such programs as Indiana and Arizona on their way to a #13 ranking and an 11-1 record. St. John’s has had real struggles in Chris Mullin’s second year at the helm, losing to lowly Delaware State and Long Island University to begin the season. 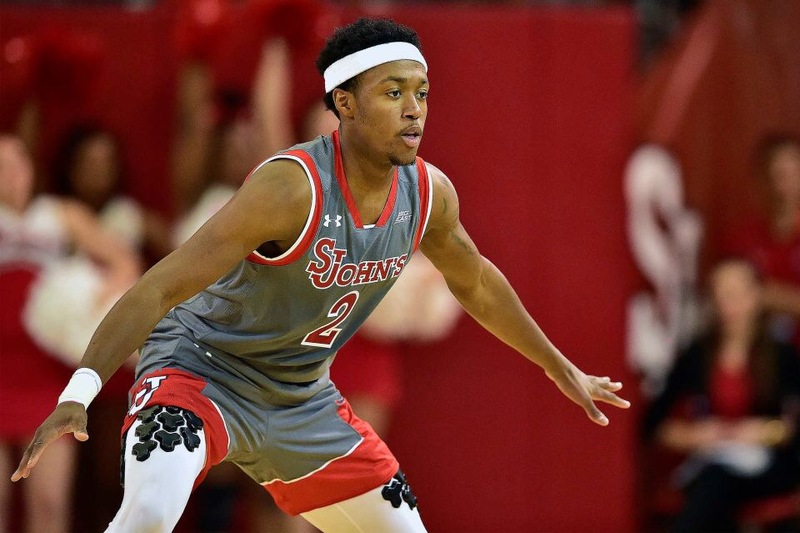 Conference play gave both these teams a chance to make a statement going into 2017 and St. John’s did just that with beating the Bulldogs 76-73 in front of a packed house at Carnesecca Arena. The duo of Bashir Ahmed and Shamorie Ponds scored 19 and 26 points respectively to lead the Red Storm to a 1-0 conference record (7-7 overall). The game was nick and tuck from the beginning as the veteran Butler team exploited the Red Storm’s turnover differential to build a little bit of a cushion. Their was no quit in St. John’s at any point as they furiously ended the first half with a flurry of points to tie the game at 38 going into halftime. The second half showed the poise of Ahmed and Ponds as Butler built back a lead of ten points. For a young Red Storm team, playing the #13 team in the country tough through 35 minutes of play might have been enough for a moral victory. Ponds wasn’t interested in one of those. The freshman showed the sold-out crowd that it’s a new day for the Red Storm by hitting big baskets from the field and the free throw line as they erased the defecit on Malik Ellison’s steal and dunk with 1:30 left in the game. After Butler quickly made a basket, St. John’s closed the game out on the free throw line with Ponds making the final two free throws to ice the game. The frenetic crowd erupted as the final horn sounded. Butler’s Tyler Wideman had a career high of 20 points. St. John’s was effective in keeping two of the Bulldogs top scorers, (Kelan Martin and Andrew Chrabascz ) in check for most of the game. More to come including quotes from Shamorie Ponds, Chris Mullin and Bashir Ahmed.